Happy MLK Day. Most of us will never be able to live up to your... – Juka's Organic Co. Most of us will never be able to live up to your legacy even if we live twice the age you lived. But we surly can look up to you as an inspiration for your strength, courage tenacity and above all, for being a dreamer of the unthinkable. You are gone but your legacy continue to live on and this is a life worth living. Thank you for what you have done for the black race and for the world at large. I remember 5 years ago when I made the decision to be an activist in my own country “Gambia” to end dictatorship, I stocked through it for 4 years. Although it was hard to juggle my own life with the long and demanding hours of an Activist but i always said to myself if you fought for your people to have freedom in the U.S and if I can enjoy that luxury, I should also be able to do it for my own people in The Gambia. Thank you for inspiring us to do the unthinkable. After 22 years of dictatorship Gambia is now free from tyranny and most of the activists that fought the fight including myself looked up to you all the way until the end. 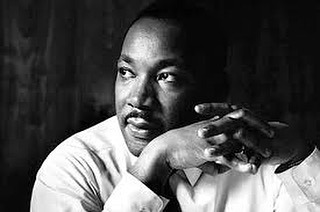 Continue to Rest In Peace Dr. King, you are truly one of a kind.